If you think the beginning of the year is all about dark days, diets and deprivation, think again. It’s time for a change. Kick-start your new year with our 12 top tips to get you feeling and looking great. Now is the time to expand your food horizons, get active, be healthy, and start enjoying what you should eat, rather than worrying about what you shouldn’t. Find out how making simple changes to what, when and how you eat can help you cut calories, improve your sleep and make you feel alive and alert. In a nut shell, these little nutritional powerhouses are low in cholesterol and rich in heart-healthy fats, vitamins and minerals, including folic acid and calcium. To satisfy snack cravings, limit yourself to a small handful a day. 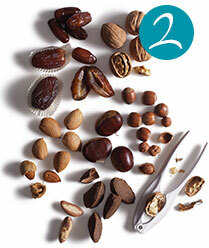 Avoid salted and chocolate-coated varieties, and stock up on mixed nuts. You'd be nuts not to. Eat a good breakfast and you’re likely to consume at least 100 fewer calories during the day than those who skip a morning munch, research has shown. What's a "good" breakfast? One word: eggs. 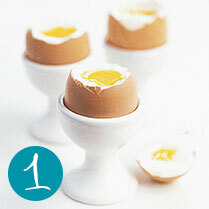 Packed with B vitamins, eggs are a source of high-quality protein, which helps you feel full for longer. They’re also one of the few food sources of vitamin D.
We know the course of sticking to your 5-a-day doesn’t always run smooth. Well it should now. 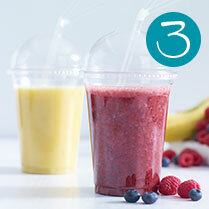 A 250ml smoothie can count for up to 2 of your 5 portions, and for veggie- haters they're a great way of getting vital nutrients. Go for lower-sugar fruits like raspberries, cranberries, blackberries, apricots and plums, and green veg like kale, cucumber and spinach. Restore tired looking skin by investing in a good night cream and serum. A study published in the scientific journal Nature found that the skin concentrates on protecting itself during the day and repairs itself at night, so let your skin make the most of good ingredients. For a brighter complexion use a gentle facial scrub to slough off dead skin. Or fake it with a blusher. Pick a shade that mimics the natural flush of your skin, and choose a cream formulation for a soft, dewy effect. Numerous studies have confirmed that the omega 3 fats found in oily fish such as mackerel, salmon and herring and in certain white fish, such as sea bass, sea bream and pollock, are heart protective. Try to eat fish at least twice a week, but don’t eat more than 4 portions of oily fish (2 for women who are or may become pregnant or who are breastfeeding). Also don’t eat swordfish more than once a week and limit your intake of white fish. 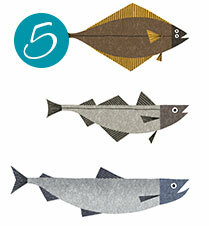 White and oily fish can contain low levels of pollutants, which can be harmful in very large quantities. Have trouble sleeping? You’re not alone. More than a third of people in the UK have problems getting a goodnight's rest. Stop sabotaging your sleep by making sure you eat dinner 3 hours before bedtime, cut out caffeine 6 hours before and do regular exercise during the day and early evening. Don’t go to bed hungry - have a light snack an hour or 2 before you decide to nod off. A banana is a good option as it contains tryptophan, which helps the body make its natural relaxant hormone, serotonin. Why not try a soothing cuppa of herbal tea to help you relax. Choose from our LOVE life infusion range- they're caffeine-free and come in 6 delicious flavours. Not just a pretty plate with delicious flavours, our colourful red pepper and coconut stir-fried rice recipe has the added bonus of helping you stay focused, and helps improve your memory and concentration. 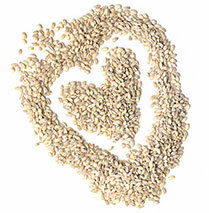 The recipe is low in calories and packed with B vitamins, magnesium, iron and zinc, which help brain function. The addition of red peppers means you also get an extra helping of vitamin C – a large pepper contains 3 times as much vitamin c as an orange. Keep active and you're less likely to be depressed, anxious or tense and more likely to feel good about yourself, according to the Royal College of Psychiatrists. The key to sticking to an exercise regime is to pick an activity you actually like doing, whether it’s riding a bike, playing a sport or walking your dog. Loathe the gym? Don't sweat it. 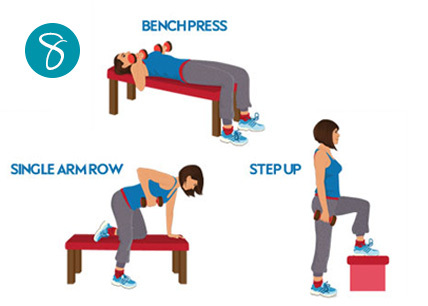 Exercise in the comfort of your living room with our home workouts devised by celebrity trainer Matt Roberts. We eat with our eyes as well as our mouths, which explains why we pile up our plates and pile on the pounds. When dishing up, start by filling half your plate with salad or veg, as they are nutritious and low in calories. 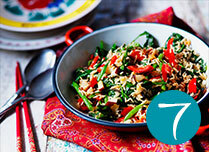 'The most calorific food should go on the plate last,' says Joanne Lunn, Waitrose nutritionist. Trick yourself into eating less calories by using smaller bowls and plates, and using tall, thin glasses rather than short and fat. Try cutting your food into smaller pieces too. Research shows that these optical illusions cheat your brain into thinking you are eating more than you are. Healthy bones need sufficient calcium. Yes, milk and dairy foods are great sources, but they're not the only ones. An 85g tin of drained sardines contains as much as two 230ml glasses of milk - as long as you eat it bones and all! Dairy products contain potassium and phosphorus, both important for healthy bones. Green leafy vegetables, such as cabbage, kale and broccoli, are a great source of calcium as well as the magnesium your bones need. For your body to absorb calcium effectively it needs vitamin D. While the best source is sunlight, eggs and oily fish also contain vitamin D.
Drinking coffee can positively benefit your health and mood. No, really. Research from the Nurses' Health study in the US found the risk of depression was 20% lower among women who drank four or more cups a day than those who drank little or none. Coffee may also protect against dementia, lower the risk of skin and mouth cancer and reduce your chances of developing type 2 diabetes. 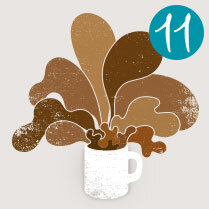 Caffeine can cause irritability and headaches so always be aware of how much feels right for you. 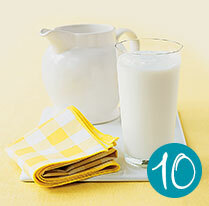 Keep your coffee low-fat by opting for semi-skimmed or low-fat milk. Take a step (or two) into the great outdoors and let natural sunlight lift your spirits. Research has shown that a daily midday walk can be just as effective as light treatment for beating the winter blues or SAD (seasonal affective disorder). Being outside might be a mood booster, but it won’t boost your levels of vitamin D during the winter. 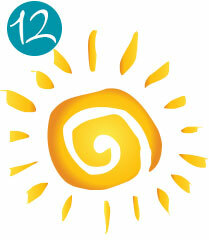 From November to March our skin can’t make vitamin D - which is essential for healthy bones - from sunlight. So if you're in an at-risk group of deficiency, the Department of Health recommends taking a vitamin D supplement.